For readers of Anne Lamott, Abigail Thomas, and Ayelet Waldman, a “lusty, kickass*” post-divorce memoir, one woman’s story of starting over at 60—in youth-obsessed, beauty-obsessed Hollywood. 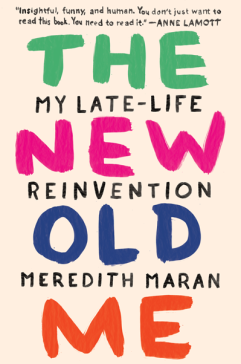 After the death of her best friend, the loss of her life’s savings, and the collapse of her once-happy marriage, Meredith Maran—whom Anne Lamott calls “insightful, funny, and human”—leaves her San Francisco freelance writer’s life for a 9-to-5 job in Los Angeles. Determined to rebuild not only her savings but herself while relishing the joys of life in La-La land, Maran writes “a poignant story, a funny story, a moving story, and above all an American story of what it means to be a woman of a certain age in our time” (Christina Baker Kline, number-one New York Times–bestselling author of Orphan Train).